When I heard about CrossFit Central from a friend at work back in 2010, I was immediately interested. I’ve never considered myself an athlete, but I’ve always respected athletes and had been trying to find a way to bring out an inner-athlete from myself. Just prior to 2010, I had been running long distances including the Austin Marathon four years in a row. However, running was causing tendon pain, and it was getting monotonous. I had also taken weekly personal training sessions at a globo gym. Although I liked the trainers, they were severely constrained by the lack of time, space, and equipment available there. I stopped improving, and I was definitely not getting my money’s worth. 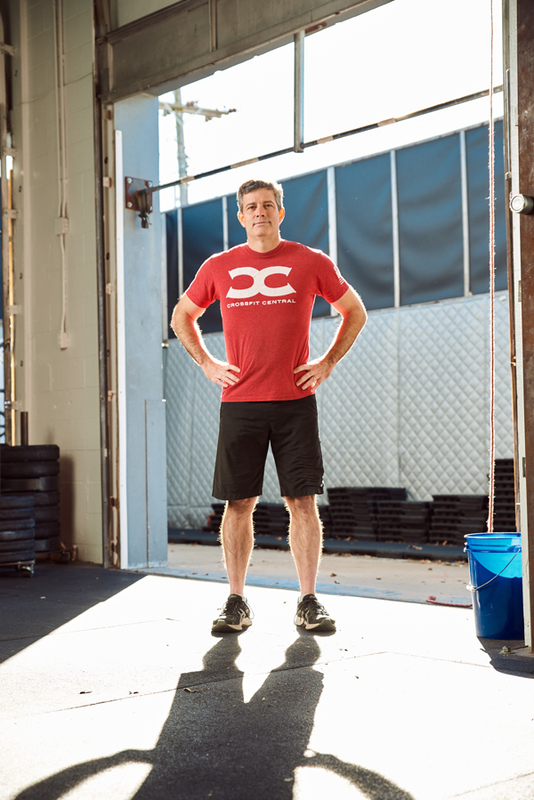 I was intrigued by CrossFit’s focus on “functional” fitness while targeting a wide variety of movements. It looked very challenging, but also looked fun. I felt the need to ramp up my intensity and my expectations. So, in May of 2010, I signed up. Once I saw how strong and talented all of the coaches and other clients were, I knew I was in the right place. I was nervous at first, but everyone was so supportive and I fit in quickly. I love the class environment. I’ve made close friends with coaches and other clients. The workouts are never easy, but I love pushing myself as one of the team as we motivate each other to finish. Somehow I’ve managed to come at least three times a week for more that 7 years now! My abilities have increased in many, many ways. At the beginning, I could barely even do proper squats and box jumps. I certainly couldn’t do kipping pull-ups and Olympic lifts. Although I’m not perfect at anything, I definitely have improved dramatically on all those things. I’m still excited with each PR and new technical achievement, such as double unders, handstand push-ups, muscle-ups, handstand walks. Physically, I’ve lost fat and gained muscle. I’ve learned to eat “real” food, drink water, and sleep in order to fuel the exercise. I’ve participated in many of the annual challenges which reinforce good habits and encourage further growth. Also importantly, I’ve gained and maintained good mobility. One extra way I’ve pushed myself is to sign up in the CrossFit Games Open every year for five years now. Additionally, I participated in the Fittest Experience Qualifier recently. Those workouts are super hard, but by signing up it mentally forces me to give them 100%. I may never win, but I want to at least give it a good attempt. Due to CrossFit Central, I’ve gained confidence in both body and mind. I am almost 50 years old, but I do not feel “old” at all in my mind. I have the endurance and strength to do pretty much anything I want to do. At this time in my life, I realize not to take my health for granted. It has to be maintained constantly or else it will deteriorate. I have 5 kids, so it is important to set a good example. My wife, Lori, and our two oldest sons have all been members when their schedule allows. Our whole family realizes the importance of good diet and fitness, in large part due to my involvement with CrossFit Central. My little kids even do burpees sometimes for fun! I have to end by giving a super-duper “thank you” to each and every CrossFit Central coach I’ve ever had the privilege of learning from!